Star India bagged media rights for the international bilateral matches held at home for five years by forking out a staggering Rs 61.38 billion, on 5th April 2018.And ever since then, the industry experts have started evaluating whether this gamble by its CEO Mr.Uday Shankar, is worth all the risk. Whether it’s tough challengers such as Reliance Jio or traditional rivals Sony Pictures Network (SPN), this deal definitely re-affirms Star India’s place in the industry.However, one can simply not overlook its media rights acquisition of the 60 days’ Indian Premier League (IPL) as well as all the International Cricket Council matches (including the two World Cups till 2023). Which clearly indicates that it has to pay a very stiff bill of over Rs 320 billion (each year Rs 65 billion) in the next five years. If reports are to be believed, a huge amount of this is going to be attributed with advertisements & increased viewership, both digitally as well traditionally. However, this is definitely not going to be a cake walk! To grow the market for cricket advertising by at least 3x in just five years is no joke, especially when it has currently attracted only a little more than Rs 30 billion in revenue. But there’s definitely a silver lining with their aggressive strategy to disrupt the way cricket is sold to advertisers. 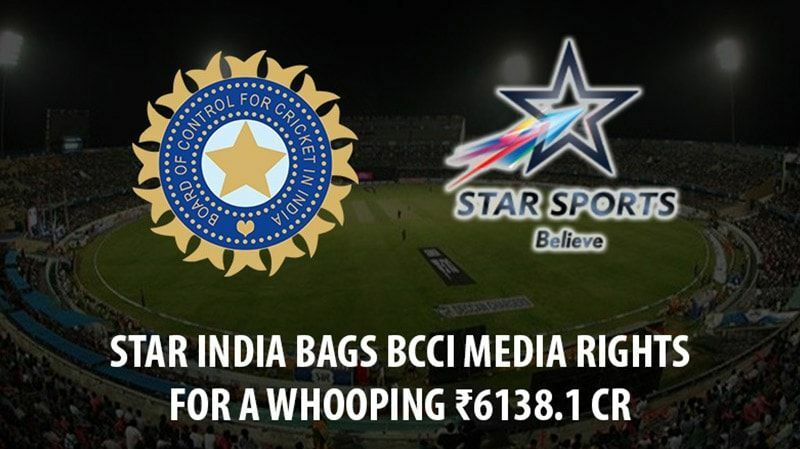 If the reports are to be believed, it has sold 90 per cent of its advertising inventory in the IPL and will make around Rs 20 billion from mere ad revenues, which is an increase of more than 50 per cent of what Sony rustled up last year. Their plan of action to increase ad revenues? First, increasing overall rates (it has increased spot rates by 45-50 per cent) and secondly, selling a larger amount of inventory as it has more feeds to offer. STAR is offering advertisers seven feeds, including in Bengali, Tamil, Telugu and Kannada, as well as Super Fan feed on STAR Sports Select, apart from English and Hindi which clearly indicates that it is expecting the viewership on TV to increase by at least 20 per cent from 250 billion minutes to at least 300 billion minutes in this IPL. STAR is also expected to gain around Rs 40 billion from the two properties in the first year (2018) itself, which is pretty close to its breakeven point. STAR estimates with a 15-20 per advertising revenue increase, it would make, on average, Rs 60 billion per year for the next five years as overall revenues, while their requirement to break even is Rs 45 billion. This definitely goes on to prove that this high risk (strategy) GAMBLE will also yield high rewards.